It is a straight-forward trip from Albuquerque to Phoenix - especially if you know the shortcut (turn SE on Arizona 377 at Holbrook). 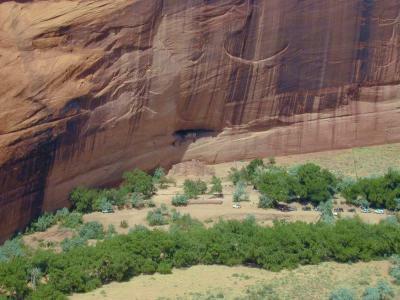 But we decided to scout out Canyon de Chelly, the most famous of the Anasazi ruins in the four corners area. 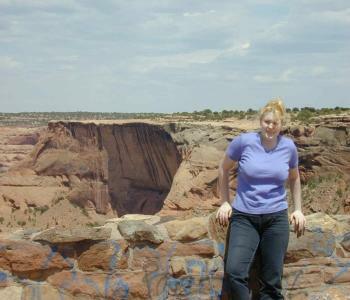 As it turns out, if you want to visit there, it is best to allot a day on site, and hire a guide. 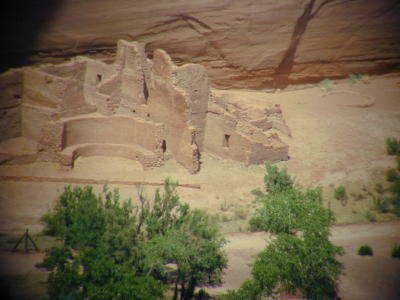 If you don't want a guide, the only way to get to a ruin is a trail from the top of the canyon 600 feet down to one ruin (we didn't try it). 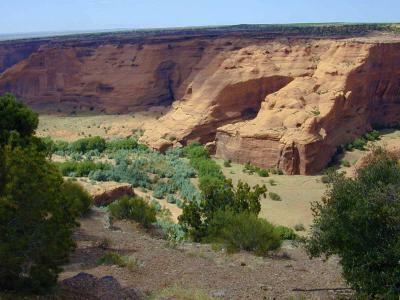 But it was worth the side-trip (about 30 miles each way out of the direct path) in order to look at the beautiful canyon, and find out how to visit it right the next time. 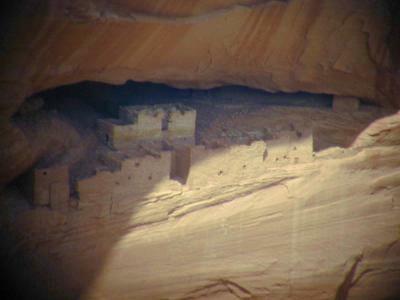 The ruins were a long ways away from the viewpoint, so again the telephoto was needed. We left Albuquerque a little before 11AM and arrived back in Paradise Valley, AZ before 8PM. Views of the canyon. 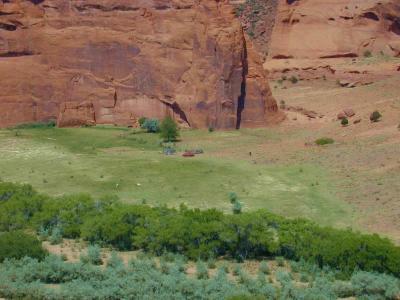 On the right, an active ranch is visible. "White House Ruins" - First from afar, and then a close-up.